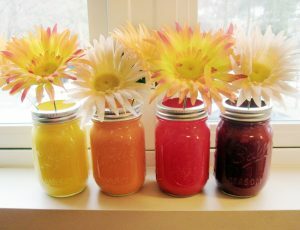 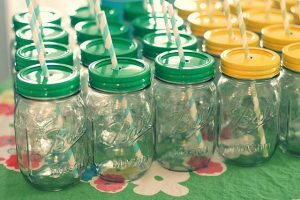 Mason jars are not just some mere glass containers used for preserving food items in your kitchen. 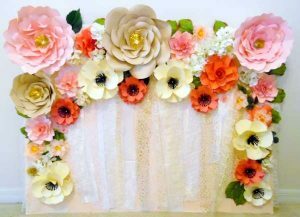 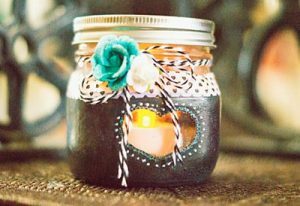 A myriad of stunning crafts can be created using these handy household items when they are given an aesthetic touch with a pop of color. 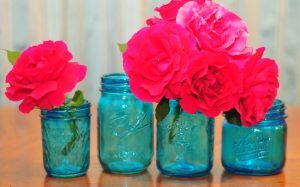 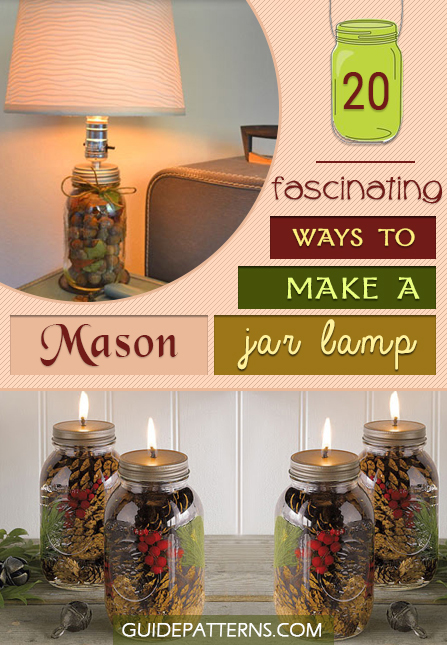 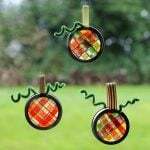 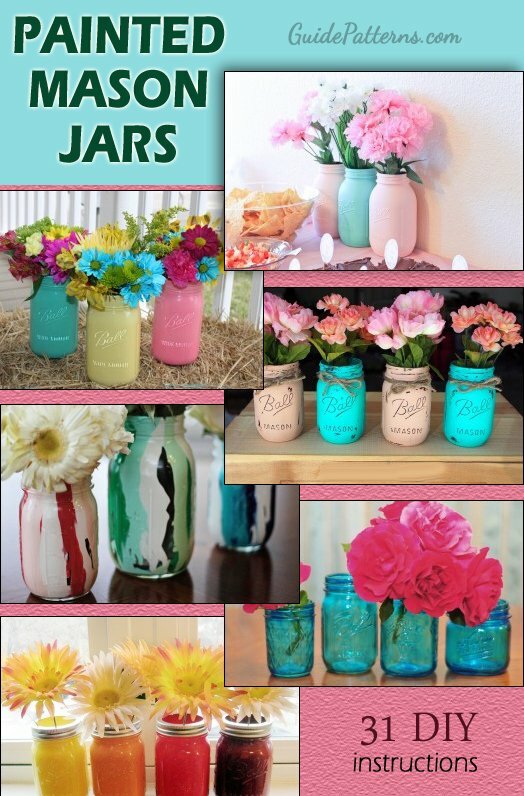 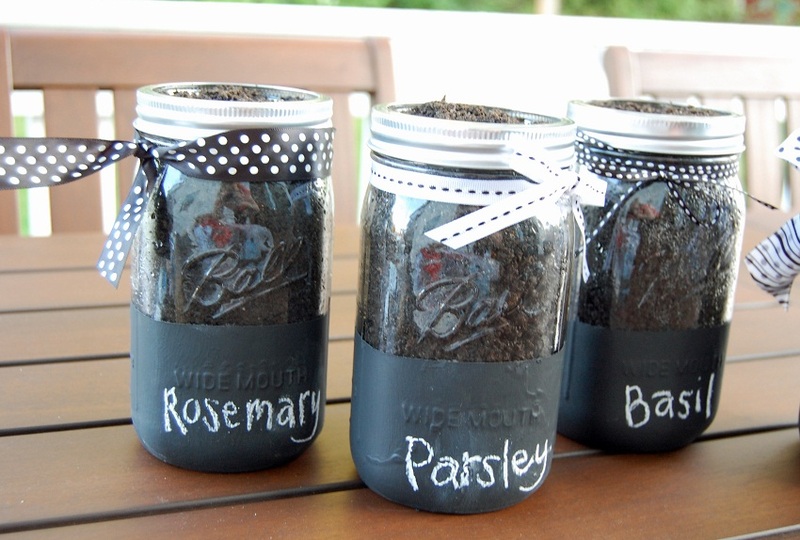 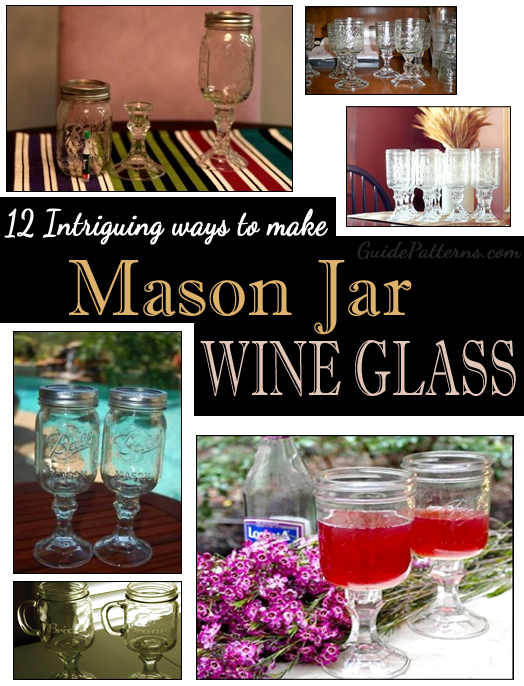 Given here are some amazing ideas for transforming your ordinary kitchen mason jars into exquisite decorative items. 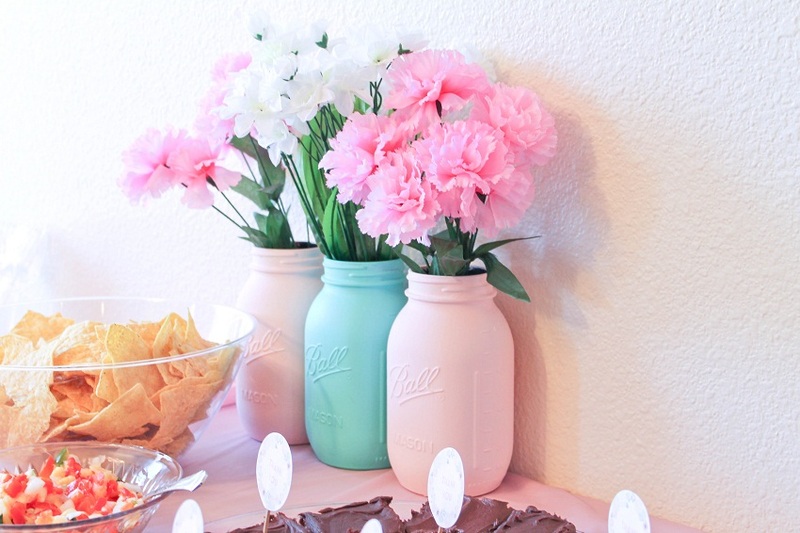 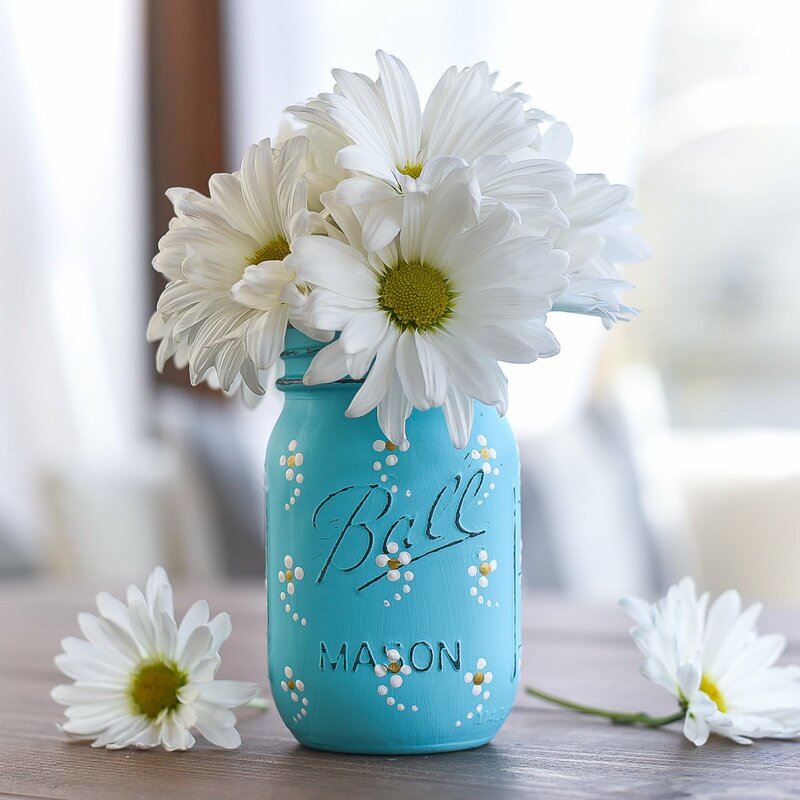 These painted mason jars decorated with a bunch of fresh flowers celebrate the arrival of the spring in full swing. 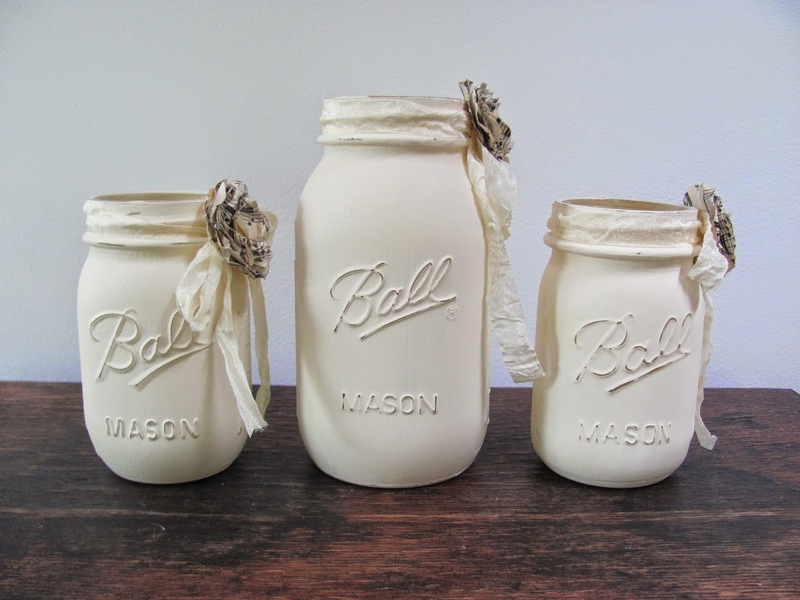 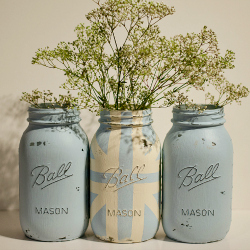 If you want to add some vintage shades to these jars, then settle for neutral acrylic paints. 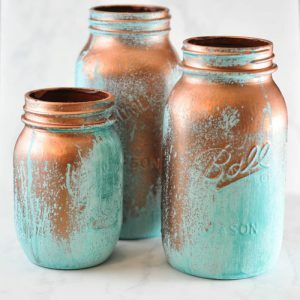 These awe-inspiring painted mason jars bring a lot of earthy vibes to your home, adding a new freshness to your interiors. 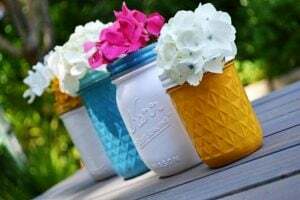 Why buy opaque pots from the stores when you can make these breathtaking planters using old mason jars? It could be tricky when you opt for lighter shades as a double coat is necessary to get the glossy effect. 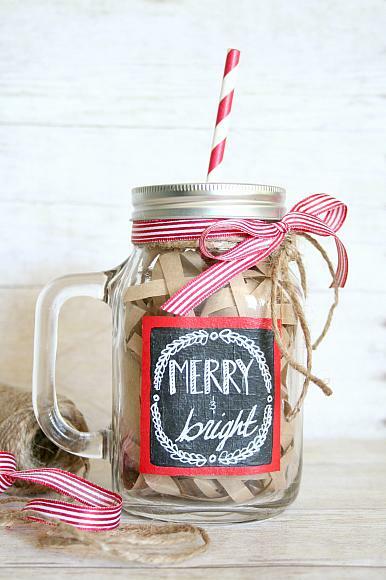 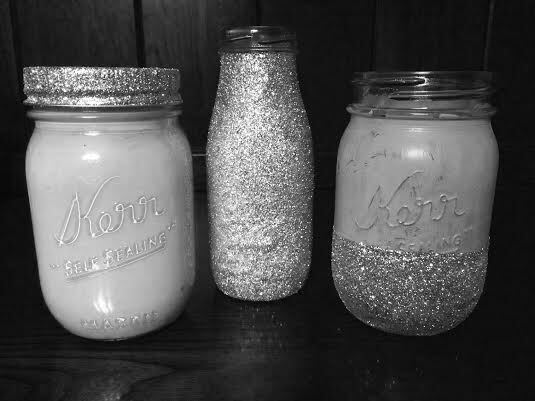 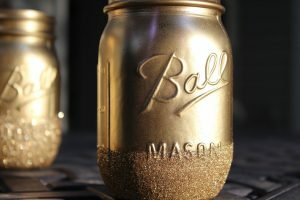 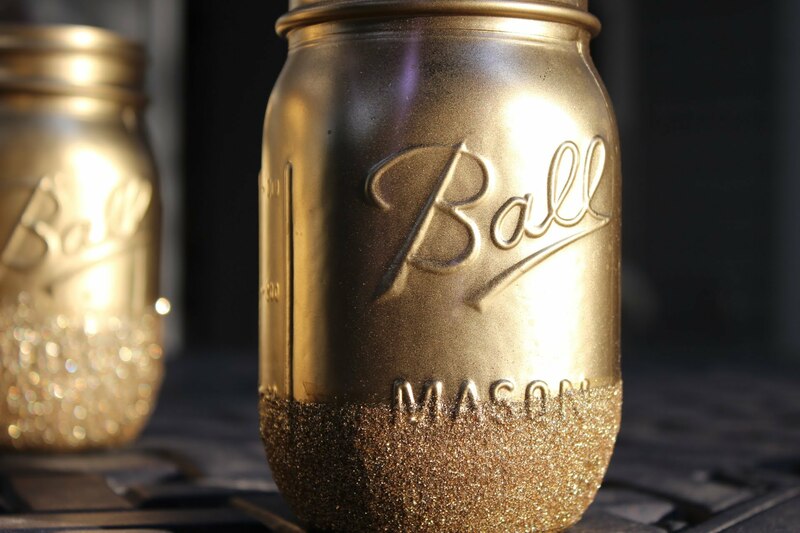 Make these glittery mason jars for decking up your centre table in the drawing room. 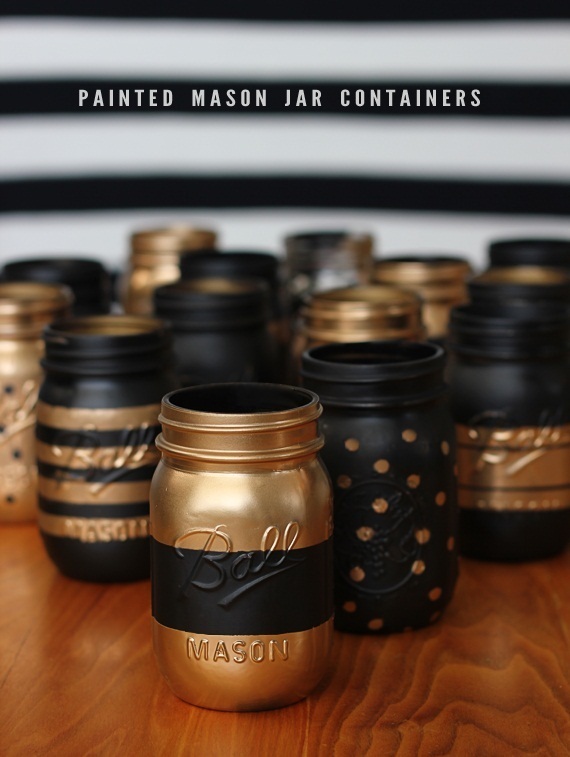 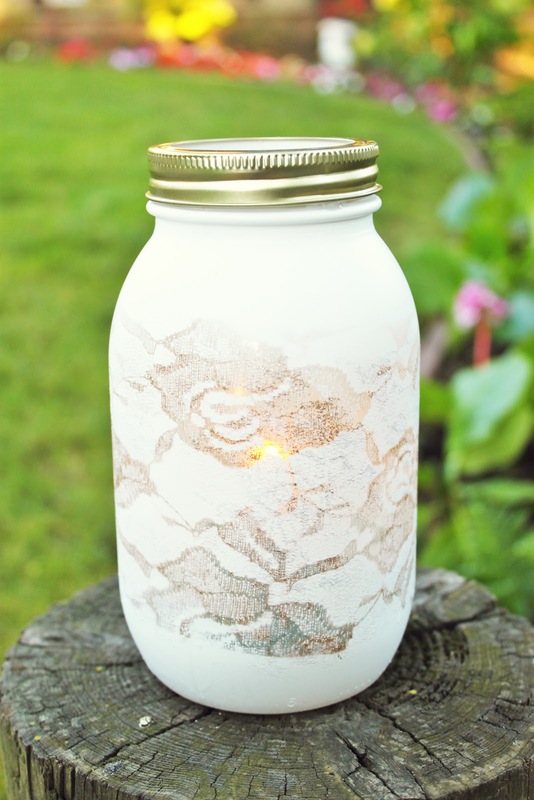 Paint dripping is another way of giving a quick makeover to the mason jars, expressing an abstract form of art. 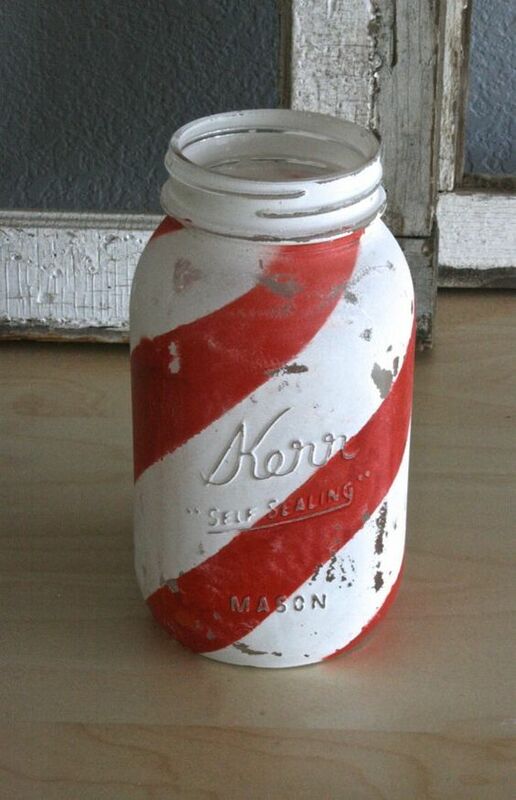 Ardent glass painting enthusiasts might want to make more out of a reclaimed mason jar. 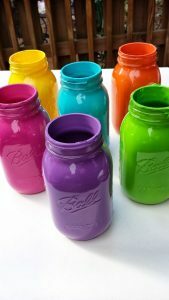 Here, puff paints have been used to draw detailed patterns on the jars to create some unique glass crafts. Mason jars of different sizes and shapes can be painted alike and placed on a display shelf. 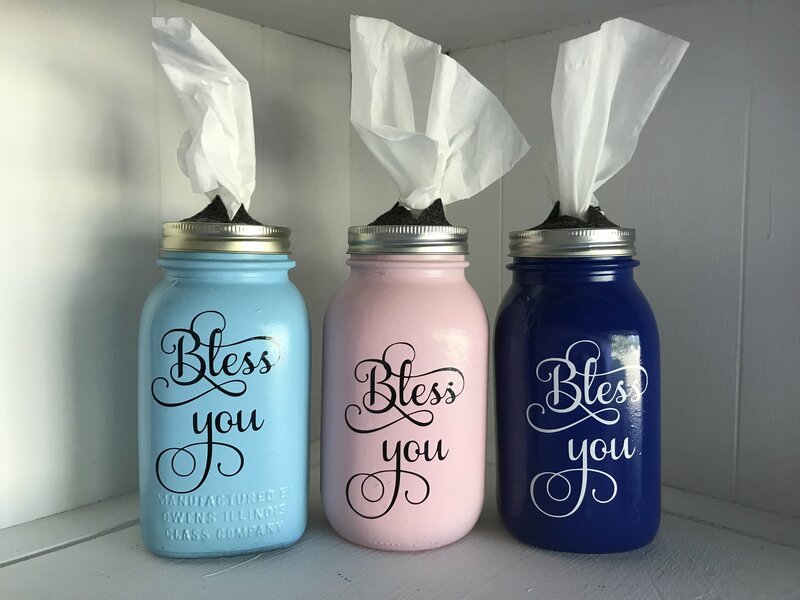 Customize these jars with other accessories like beads, ribbons, and stickers for a contrasting effect. These tiny mason jars are easy to paint, giving you more options to play with an array of colors. 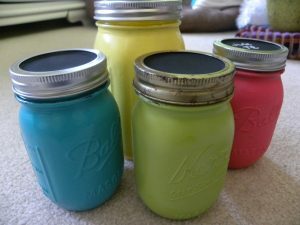 How about keeping your kid’s erasers, sharpeners, and other small stationary items in these jars? 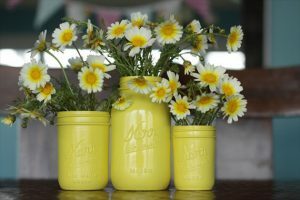 The bright sun rays falling on these painted mason jars kept on the window sill creates a whole new ambience in your home. These chalk-painted mason jars will be loved by those looking for some unique yet inexpensive kitchen décor. Replace the lids of the jars with the top of any empty salt dispenser to keep salts and peppers. Surprise your guests by etching their names on these chalk-painted jars and fill in some mouth-watering cookies and marshmallows as special servings. 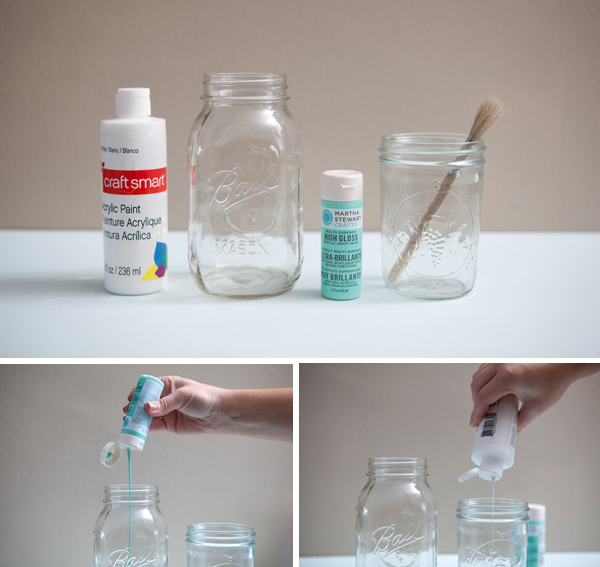 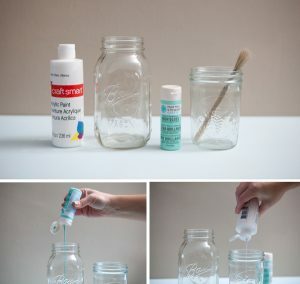 Paint the lids of the mason jars and drill a hole to slip a straw through it. 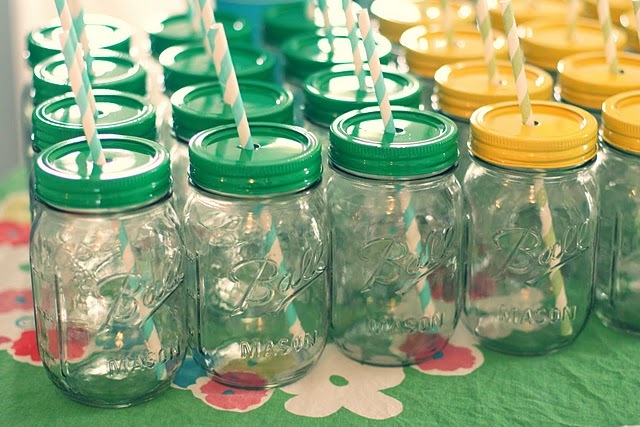 Fill the jar with your favorite beverage and enjoy sipping while beating the scorching summer heat. 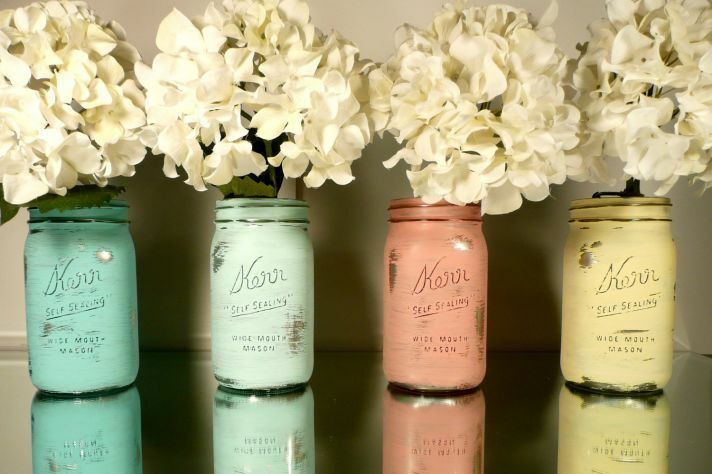 Add a sophisticated charm to your living room with these mason jars turned into beautiful flower pots. 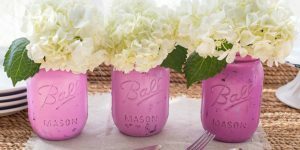 These ultra-charming mason jars painted in pink and blooming with a fresh bunch of white flowers are the best addition to your wedding décor. 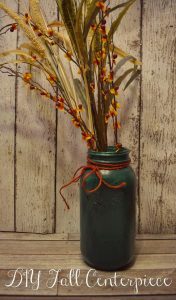 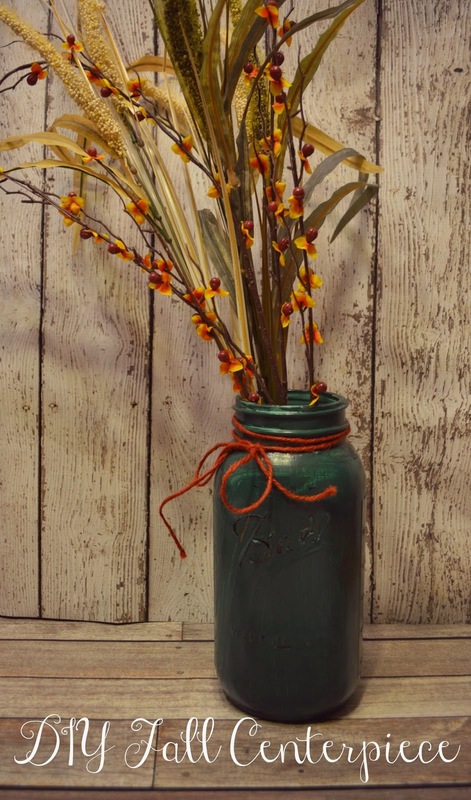 A lovely ribbon tied around the neck of the mason jar with a cute bow attached to the side adds oodles of rustic flair. 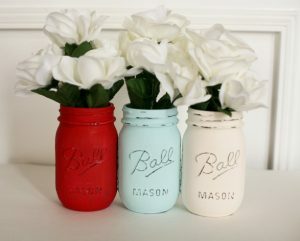 Having these painted jars at one corner of the room is enough to get a refreshing feel whenever you step into your home. Add a bit of shine and glamour to your indoors with these dazzling mason jar décor placed against a lighter background. Few coats of copper metallic paint on an empty mason jar create a rustic ornamental piece that highlights the simplicity of your interiors. 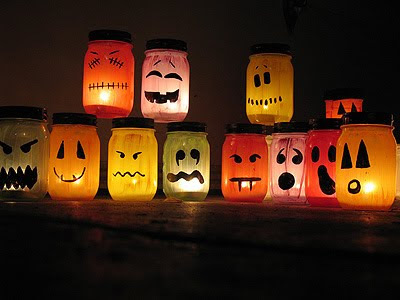 This Halloween night will never be the same again with these creepy-looking mason jars making all sorts of faces at you. 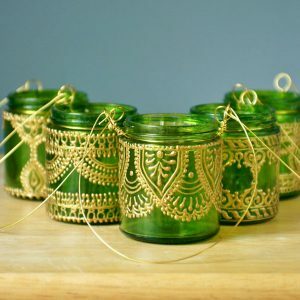 While the lights give an uncanny effect, you can tie a small aluminum wire around the jars for hanging them from the roof. As display items, painted mason jars are the perfect choice. 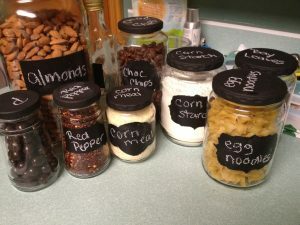 Right from storing dry ingredients to keeping pens, pencils, and craft supplies, the possibilities are endless. 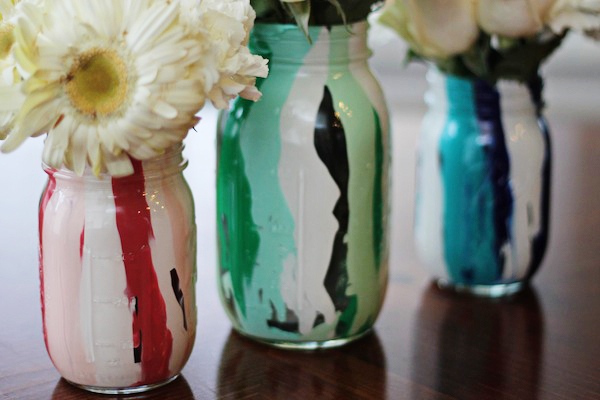 Hope you will have a whale of a time doing this interesting DIY craft.